Gloria's new track ranks among Turkey's best - here's why. On Turkey’s sublime south coast sits Antalya, in the region of Belek, home to the opulent Gloria Resort. The vast luxury enterprise boasts four accommodation offerings – golf, serenity, verda and villas – allowing customers to choose a style and cost to fit their budget. 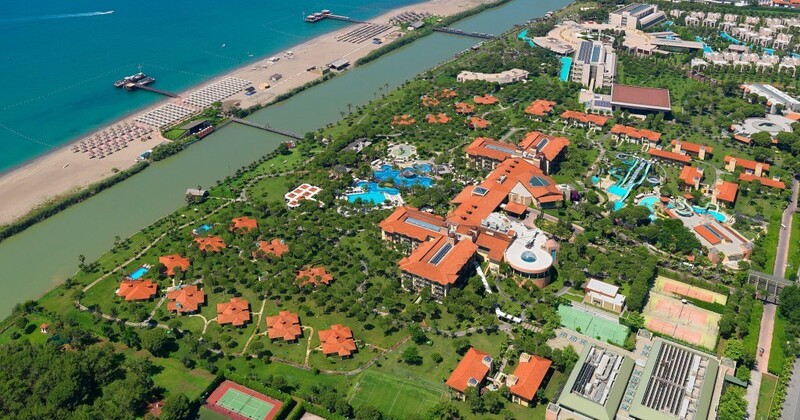 Inside the confines of the resort are two of Belek's, and Turkey’s, best courses – the Old and New. Flying to the southern region of Turkey is low cost and simple thanks to Monarch. The airline flies direct from London Gatwick to Antalya airport with fares, including taxes, starting from £69 one way (£133 return) or to Dalaman from Birmingham, London Gatwick, Leeds Bradford, Manchester and London Luton airports, with fares, including taxes, starting from £69 one way (£183 return). Gloria came to golf late – with the Old Course being built in 1997 – but it has made up for lost time. The establishment decided to build a new layout, ingeniously labelled the New Course, with the ribbon being cut in 2005. Like the Old, the New course was designed by Frenchman Michele Gayon, and while it is a distinctly different test, there are a few themes that crossover, the most prominent being an abundance of water, and clever bunkering. The new course plays easier than the old layout, mostly because there is more room off the tee. Players are lulled into a false sense of serenity, as the opening seven holes do not feature water. However, as you make the turn it’s a different story, with most of the back nine boasting water hazards. There is little rough to worry about, and you have to stray quite a way off line to miss the short stuff. Should you hit a wild one, you will likely be playing among the pine trees that line most fairways. The back nine is more memorable, while the front nine is subtle, but still superb. The 17th hole sticks in the mind, boasting an island green a la Sawgrass. It’s only a short stab to make the dance floor, but when the wind is up, it turns into a miserable hole. Two other par-threes on the back nine also utilise water as their main defence, on the 12th and 15. If you’re not having a good day with the irons in hand, you may be making return visits to the drink. The 18th is a superb finishing hole, which coupled with the 17th serves up a feverish finish. The left side of the hole is lined with water, which comes into play with prominence if the pin is stationed on the left side of the green. With customers dining a la cart in the overlooking restaurant, it’s a nervy approach into what would usually be deemed a fairly sizeable green. Like the Old, the New is kept in excellent condition, with lush fairways and greens running fast and true. The bunkers, of which there are many, boast light, fluffy sand. Gloria’s New layout is the perfect complement to the Old Course, offering an easier but no less enjoyable test. Wide fairways allow players to open their shoulders, but they must stay out of the copious amounts of water if they want to score well. The two courses at the resort are in the realm of the best in Turkey. Rather than taking a trip to the well-worn courses in western Europe, why not branch out and unlock the treasures that wait in southern Turkey? You’ll be thankful you did.